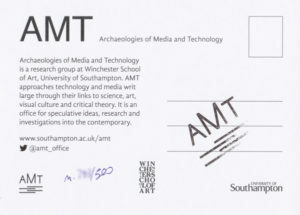 Neural #55 extra is a numbered and stamped AMT research group postcard (only for subscribers to the printed magazine). 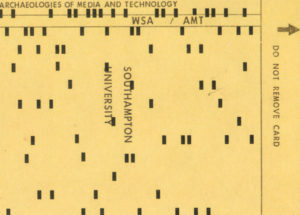 Archaelogies of Media and Technology research group postcard, 2016. Series of 500 numbered and stamped.